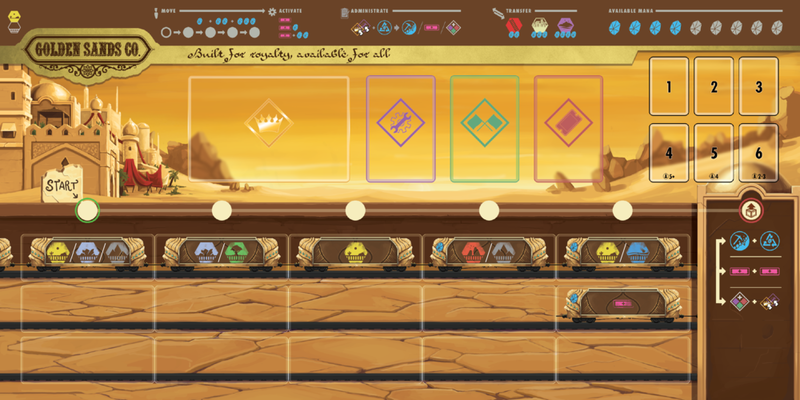 Empyreal: Spells & Steam is a rail-building game set in Level 99 Games's World of Indines (BattleCON, Pixel Tactics, Argent), and the next major design from Trey Chambers (Argent: the Consortium). Check out previous articles on Empyreal: Spells & Steam here! Specialists are powerful allies who will join your company as permanent staff. There are 4 kinds of Specialists, and you can get one of each type during the game. Once a specialist joins you, you can't fire them, so make sure you're ready to commit to a certain path when you draft one! The four outlined slots at the top of the board are where specialists will be placed once hired. Specialists are hired via a secret draft. When you gain an opportunity to hire one, choose a class of specialist, then look at the face-down pile of that type. You can pick one of these to join your company, then return the rest for other players to sort through when their opportunity comes. Captains represent the leaders of your company. Each Captain has a unique, distinct, and potent ability. These were shown off a bit in earlier posts, though some are still getting a few balance updates as we continue development. Captains are used by flipping them face-down at the start of your turns to activate their effects. You can flip your Captain face-up again when you administrate, or through some other engine effects. 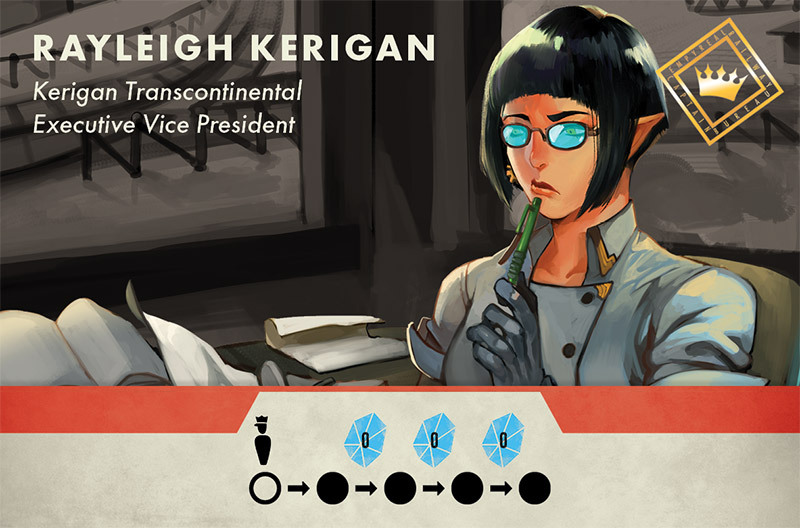 Rayleigh can move her conductor pawn for free, while Seth can activate all the engines in an entire column without spending any mana. Engineers are a bit less powerful than Captains, but still quite useful. They work the same way–activate their powers by flipping them over, and they refresh when you administrate, or use other means, such as the Gilt Runner engine shown in our previous article. Engineers can be used multiple times throughout the game. Their powers are often flexible, though not game-changing on their own. Candide lets you build onto other players' tracks for more aggressive tactics, while Garek allows you to rearrange your engines to play adaptively. Surveyors are the strongest specialists available, but they can be used only once during the entire game. When you use a Surveyor, they are flipped face-down, and will never be turned face-up again. However, this one special ability can easily change the course of the entire game when used well! Surveyors provide an ability that you will only be able to use once per game, but it's very powerful. Anya lets you move 4 of your tracks into adjacent spaces, while Cin will gather all the resources from adjacent spaces into one space you own. Station Masters provide an always-on ability. Most of these abilities give cost discounts or special actions that can be used once per turn. They never flip down, allowing you to use the ability they provide over and over. 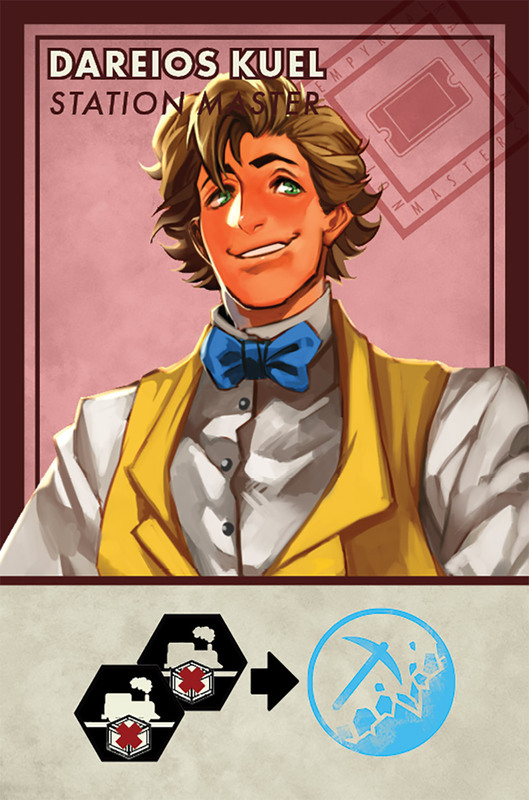 Some Station Masters give you background powers, like Clive's ability to recover 1 mana at the start of each of your turns. Others provide an extra action. Darios allows you to destroy 2 goods in your network to get a new Mana crystal, up to once per turn. Choose your specialists and engines wisely to solidify your company's strengths or to diversify your strategic opportunities. The specialists in this article feature placeholder art from some of our older games. 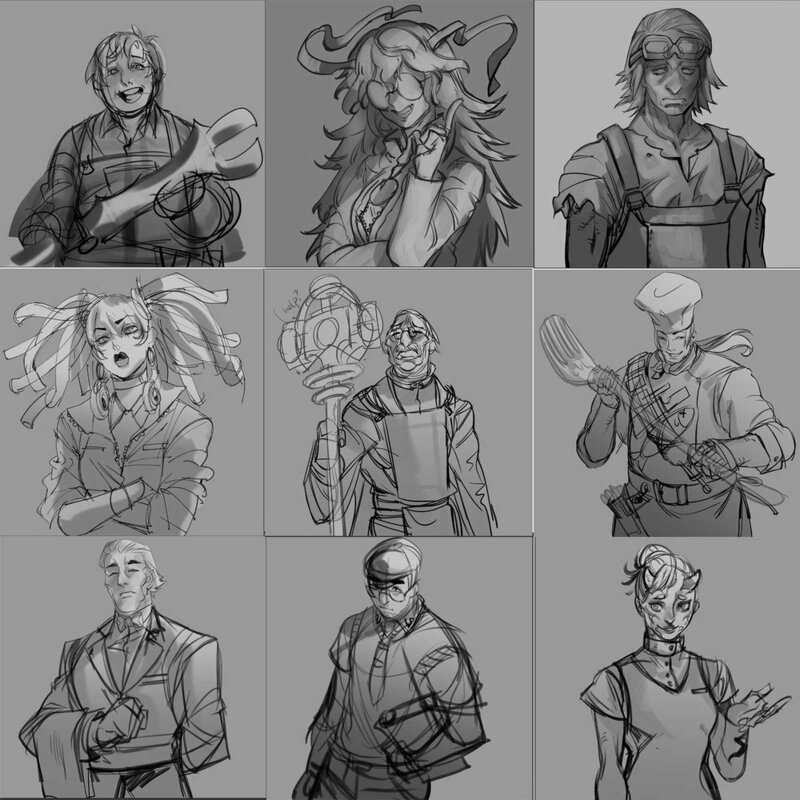 However, all art in Empyreal: Spells & Steam, is going to be originally created just for this game! If you want to be notified as soon as Empyreal: Spells and Steam goes live, you can sign up for our mailing list! And now a special message from our sponsors: the Caterpillar Conveyance Consortium! Spring is here! A time of renewal! A time to get back to nature! 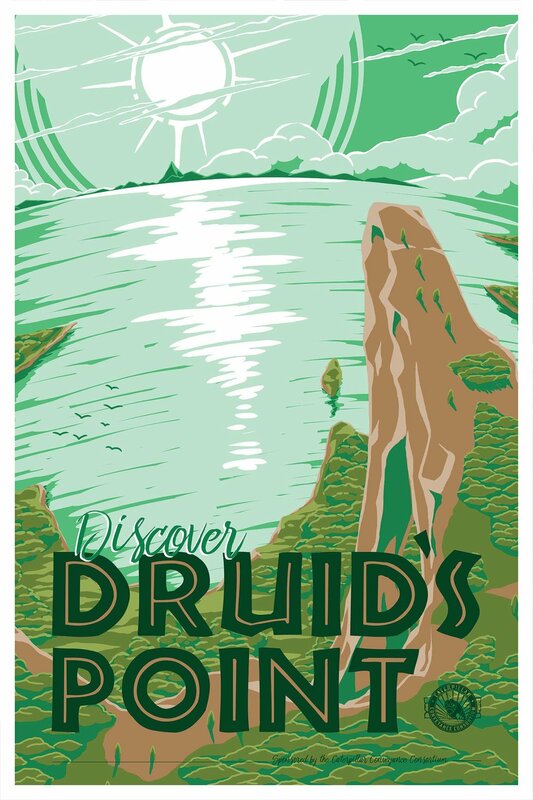 Experience spring in scenic Druid's Point, the historic landing that links Indines with the Amalao subcontinent! Frolic in crystal clear waters untouched by civilization! Camp under the stars and watch the rising and setting of the sun! 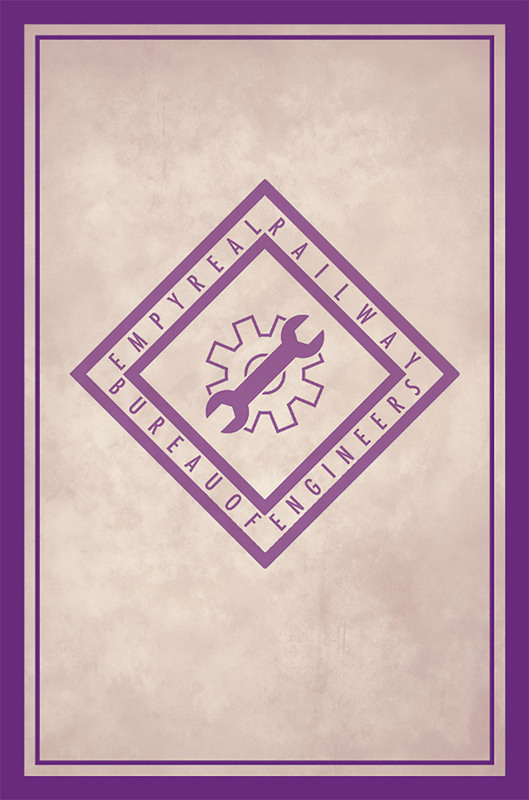 And of course, travel in style and luxury with the help of the Caterpillar Conveyance Consortium! Complete spring tour packages are available at your nearest travel agency. Newer PostOpen Playtesting for Empyreal: Spells & Steam!